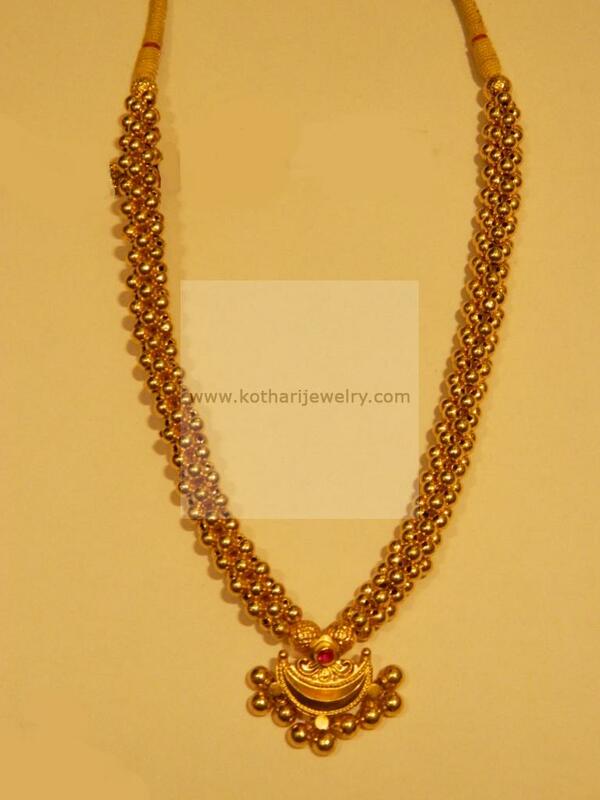 22kt ultra light weight gold thusshi necklace with a " Chandrakore" pendant / half moon pattern pendant with latkan. The thusshi is filled with laakh wax for support. The necklace is ideal for bridal / anniversary gifts.